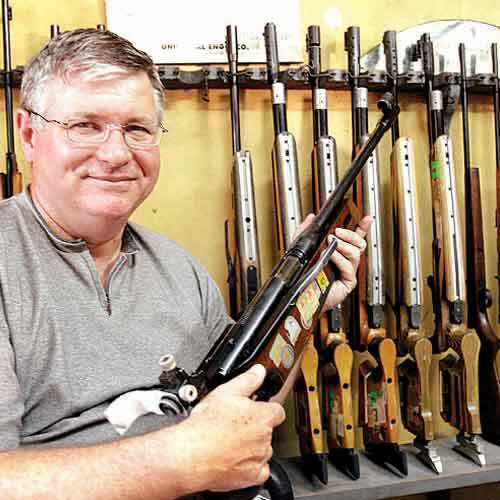 India’s former rifle coach Laszlo Szucsak will be seen once again at the Dr. Karni Singh Shooting Range in New Delhi — His second home during his two stints between 1998 to 2009 as the rifle coach of the Indian shooting team. The only difference this time is that he will be on the other side of team India, backing his current crop of shooters from Iran at the 8th Asian Airgun Championship which begins this Saturday. Laszlo, who was instrumental in nurturing several top shooters including Gagan Narang and Anjali Bhagwat, had decided to pack his bags in 2009 following the shabby treatment meted out by the government officials. Same month the Hungarian coach was roped in by Iran. He once again proved his capabilities of being a world class coach by churning out medal winning shooters for Iran in a short span of time. His shooters Najmeh Khedmati and Narjes Emamgholinejad Andevari had dominated the last Asian Games in Incheon by making it a one-two for Iran in the Women’s 10m Air Rifle. Elaheh Ahmadi and Najmeh Khedmati won gold and bronze medals respectively at this year’s ISSF World Cup in Gababla along with two Olympic berths. Recently Elaheh Ahmadi also won the gold at the ISSF World Cup Final in Munich, Germany. At Asian Airgun Iran is fielding 27 athletes, 16 of whom are rifle shooters where as India is fielding 48 shooters, including 13 shooters in the Minimum Qualifying Score (MQS) section. The MQS shooters are not eligible for medals. Iran’s Elaheh Ahmadi will be up against India’s Apurvi Chandela and Ayonika Paul in the Women’s 10m Air Rifle. Recently, Chandela had lost the gold to Elaheh by a slender margin at the ISSF World Cup Final. It will be an interesting face-off between these three top woman rifle shooters. Despite being a world class shooter Najmeh Khedmati has been fielded by Iran in the junior category making her the favorite to win the gold. In the men’s air rifle event, Both Abhinav Bindra and Gagan Narang are world class rifle shooters and in the absence of China they should not be facing much problems to keep the gold between them, But knowing Laszlo’s coaching skills, the men rifle shooters from Iran will surely put up a brave fight. Speaking exclusively to indianshooting.com, Laszlo said, “We are still waiting for the VISA. We just hope to get it in time. Our travel plan has been delayed due to this. I think we will now arrive only on the training day. Despite of the low number of entries, I hope for at least a good India vs Iran match”. The soft-spoken Hungarian was a big hit with the top shooters of India and had left a lasting image. While leaving India he had said “My heart will always beat for India”. India’s loss was Iran’s gain.